33 is the sister restaurant to the famous Galatoire’s, a local culinary institution in the French Quarter for well over a century. The bar is appropriately manly, swathed in dark woods and leather, excellent for hobnobbing with local politicians over glasses of bourbon. 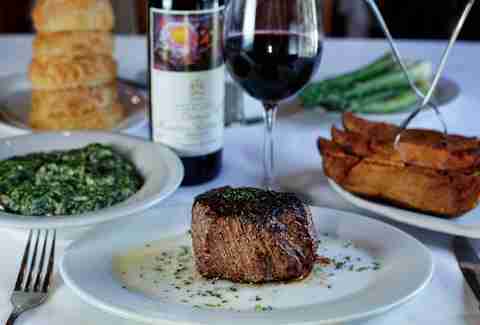 The steaks here are damn near perfect... plus, you can get those famous Galatoire’s oysters Rockefeller. This St. Charles Ave spot is one of New Orleans’ most beloved classic steakhouses. 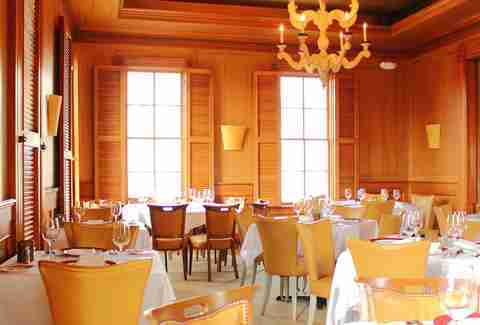 Stepping into the mahogany dining room brings you right back to the Mad Men era. Go Roger Sterling on the place and order a martini, then await the delivery of sizzling prime steaks drenched in butter. Pro tip: the twin broiled lobster tails are straight-up amazing. Part of the Emeril Lagasse empire, this spot is located in view of the historic St. Charles streetcar -- and also serves up some of the finest charcuterie in the city. 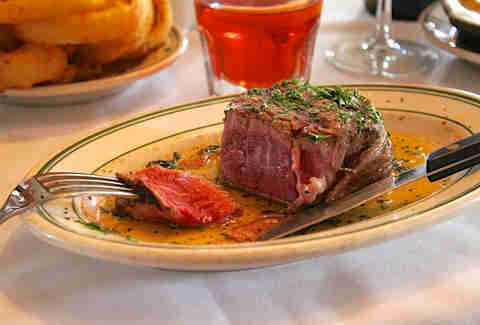 Delmonico also offers classic creole, French, and Italian takes on a variety of meat & seafood dishes. All of the steaks (hello, 20oz, 21-day dry-aged, bone-in rib eye) come with herbed butter and house-made Worcestershire, béarnaise, and chimichurri sauces. 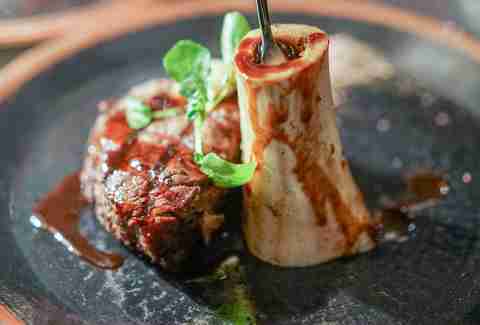 Everything Adolfo Garcia does at his Argentinian-style restaurant, La Boca, is simple and spot-on, from the pisco sour, to the expert preparation of beef cuts not normally seen in your average red, white, and blue steakhouse, such as flank, "outside skirt," and hanger steaks. And if you're more in the mood for sweetbreads paired with an Argentine vino, empanadas, house-made chorizo, and blood sausage, it has you covered there, too. This French Quarter favorite is super-deluxe (even on a steakhouse scale), offering USDA Prime and Japanese wagyu cuts dry-aged in-house. If you're feeling adventurous, try the ever-changing "Butcher’s Cut" or "Classified Cut" for enjoyment of less prestigious -- but no less delicious -- steaks. Doris Metropolitan, which also has a Costa Rican location and was originally founded in Israel, brings that world of flavors to its surprisingly diverse array of non-steak dishes. Its dedication to perfection in food quality, menu diversity, and service makes it perhaps the best steakhouse in New Orleans. Talk about old school. Opened in 1932, Charlie’s is the kind of place your grandpa went to after having a good day over at the horse track... a place where you literally DO NOT get a menu, because you should already know that there are only four options: T-bone, strip, rib eye, or filet, brought to you sizzling on ancient, dented metal trays. Like it should be. It may not sport a TV show-hosting celebrity chef at the helm, but this joint is well known by four generations of New Orleanians as the real deal. 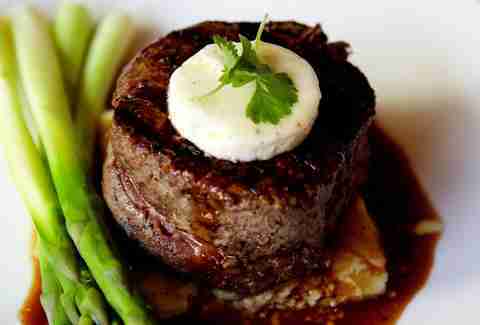 Want some steak with your melted butter, NOLA-style? This is the place for you. Pack the Lipitor. 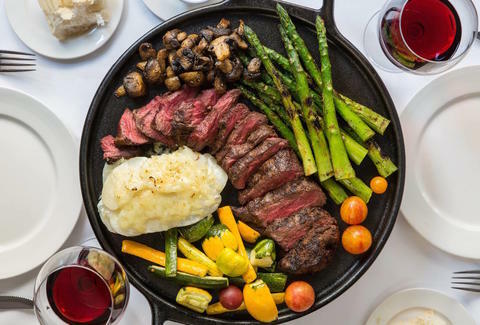 If you’ve been having a good night at the tables in Harrah’s Casino and want to show off for all of your swanky new friends, treating them for a meal at Besh Steak is a solid idea. First, you don’t have to leave the casino (score!). Second, the sleekly furnished decor includes numerous “Blue Dog” paintings by local art legend George Rodrigue. 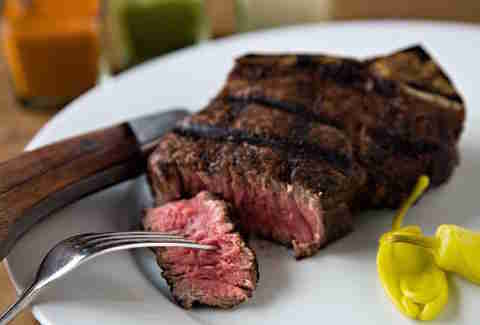 It also features a gargantuan, 30-day dry-aged 18oz prime NY Strip that, at $75, will show everybody who’s the big winner. These guys take their beautiful cuts of USDA Prime beef seriously. How seriously? They promise that the filets are “barrel-cut only,” and that the porterhouse “is a true porterhouse with both filet and strip sides. 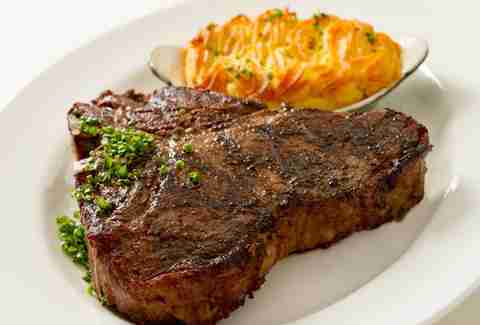 We don’t call a T-bone a porterhouse or serve a 16oz strip steak with 13 ounces of steak and three ounces of fat." Damn straight! All that in a cool room with exposed brick, nightly live local music, and classic cocktails, and Chophouse easily makes it on the list. Plus: those onion rings. You need to have those onion rings. Nora McGunnigle is really craving a rib eye and gratin potatoes right now. Follow her adventures on Twitter @noradeirdre and Tumblr. Scott Gold is a writer in New Orleans who seriously, seriously loves a good steak. Follow him on Twitter @scottgold.